It’s the end of the second period of the Olympic gold medal hockey game and the scene unfolding in my living room is the same one that is being played out in every living room in Canada—our entire family in our pajamas, cheering on our Canadian men to Olympic gold. The success of our Canadian Olympian team in Sochi has been inspiring. As Don Cherry said to the millions of children watching this morning’s game, if you work hard, and have a dream, you can be a future Olympian. My children were able to hear this message first-hand two weeks ago when they skyped goaltender Mike Smith, just before he went over to Sochi with the Olympic team. Mike graduated from our little country school and is a bit of a local hero. He told the kids as long as you try hard, and work hard, you can do anything. There’s a term for this that our school has been focusing on to encourage the students to succeed. It’s called Growth Mindset. There’s a great Teds Talk video on growth mindset and the power of belief and its impact on success. Watch it. 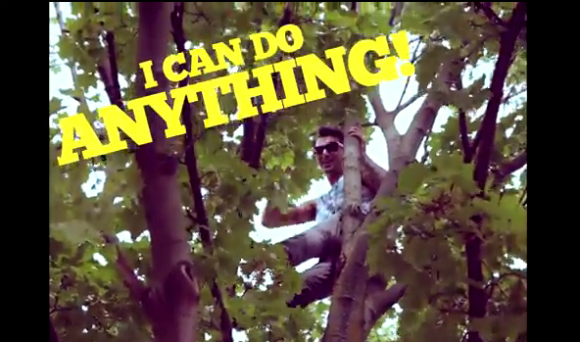 It reminds me of the line from one of my all-time favourite Canadian bands, Hedley, “I can do anything”. On this final day of the Olympics with Canadians dominating, this week’s Happy Act is to take a line from Hedley and believe “I can do anything”. If you hear a voice in your head that says, “I can’t do this”, add the word “yet” to the end. Our Canadian athletes have shown us the way. Let’s follow their lead.